1. 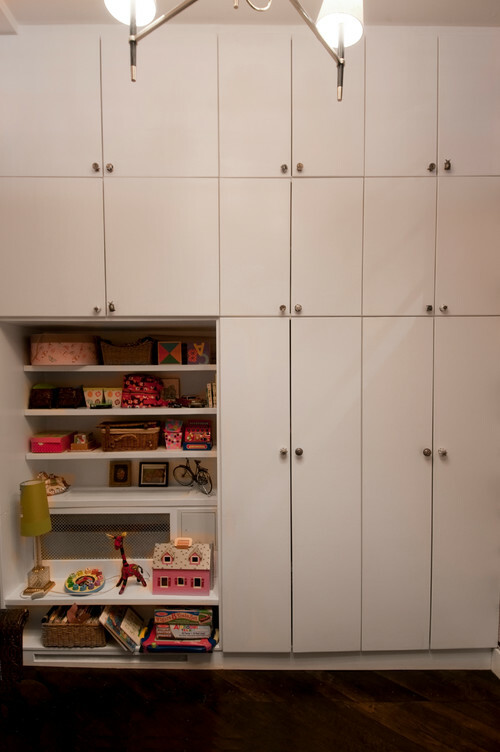 Lack of storage is something that many loft-dwellers experience. Attractive free-standing storage units are available that will hold your things without detracting from the beauty of the loft. 2. Using attractive shelving units to divide spaces will help you combine form with function to hold your accessories. These add both visual interest and functionality to your home, such as vases, bowls and meaningful objects. 3. Put casters on your furniture to make the pieces easy to move so that you can easily change the appearance and function of your home. 4. Well-placed mirrors represent good ways to create the illusion of more space. 6. Hang lights at different levels throughout the space to either accent a small area or illuminate a larger one, such as the dining area and kitchen. 7. Choose a wall area inside the loft where you create your own gallery of artwork or photos. When you're decorating a loft, you want it to be a reflection of your individual taste that you can use graphics to convey. 8. Selecting a few accent furnishings that match the style of your current furniture can help tie the room together, strengthening its visual focus. 9. Throw pillows and poofs are another way to add visual interest and texture to the loft without taking up much space. If you're decorating a loft or considering it in the Dallas area, contact Stephanie Kratz Interiors for help in making it a treasured, functional space.